When a city creates both a bike share program and safe cycling infrastructure, people become more comfortable on bikes. Once-empty streets become pedestrian paradises. Long-time residents and tourists alike start to appreciate the city in a new way, at a more humane pace. Bike sharing is now available in over 200 cities across the world, and quite a few American cities have recently announced new systems or high-profile expansions. We recommend each of the following cities as bike-friendly and fun to visit right now, and we've given you a quick itinerary suggestion to get you started. We’ll start in the West and work our way all the way to the Big Apple, stopping at a couple of our favorite bike towns along the way. Of course there are many more great cities for the dedicated velo enthusiast, but here are a few that stand out as worth a visit right now. It seems obvious to put San Francisco on any bicycling list, but the city hasn’t just rested on its reputation for being a bike town. The city has recently announced expansion of its bike system, called the Bay Area Bike Share. The number of bikes will increase tenfold, from 700 to 7,000 bikes over a two year period, with many new stations coming online as part of the expansion. There are few things more beautiful to do with a morning than to ride along the waterfront, past Fort Mason in the Marina, the yacht club and then Crissy Field. 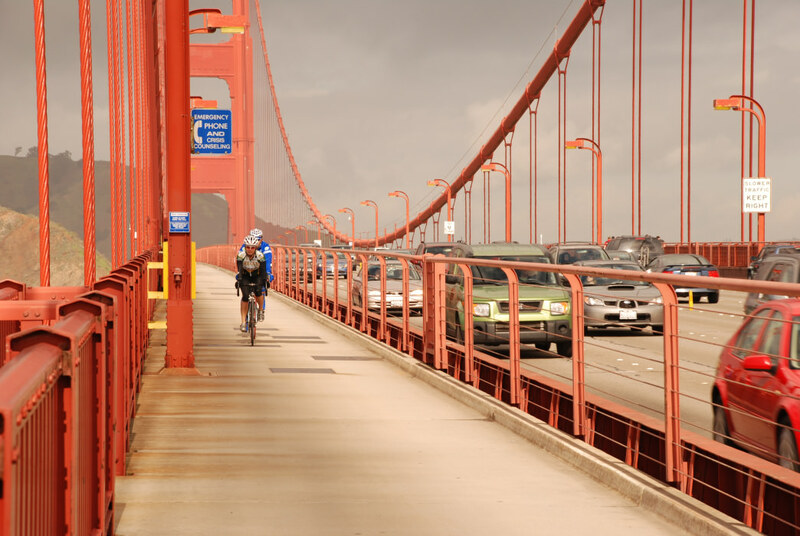 For a longer ride, head on over the Golden Gate to Sausalito. This can easily be a full-day excursion with stops at any number of coffee shops and boutiques, so you may want to look at a full-day rental. You’ll want a windbreaker, especially on the bridge, as the bay can be quite chilly, even in summer. As Mark Twain once said, "the coldest winter I ever spent was a summer in San Francisco." Take your time exploring Sausalito, but when you’re feeling peckish, don’t miss Bar Bocce. This waterfront spot has wood-fried pizza and a cozy feel with a fire pit and (you guessed it) a bocce court. Bikes are allowed on the ferry back into town from Sausalito, so if you don’t feel like pedaling back up hill, you can take the scenic route instead. Be warned: you may have to wait for a couple ferries; even though most of the bottom level of the ferry is set aside for bike storage, the racks fill up fast. When Brigham Young led Mormon settlers west in 1847, I don’t think he could have imagined how many lives the streets would have; he purportedly wanted the roadway to be wide enough for a horse-drawn wagon to turn around "without resorting to profanity." Now, almost 170 years later, visionary city planners have made it so that cyclists and pedestrians can use those same streets without resorting to profanity. Several of these famously broad, straight streets in the Utah capitol have been tamed with bike lanes protected by a line of parking. New greenways have been coming online over the past few years, with more to come. Multi-use paths like the Sugar House Greenway will connect neighborhoods and make safe cycling more accessible for everyone. The GREENbike system also only costs $5 for a day pass, making it one of the cheapest systems to use. Check in with one of the downtown bike shops for a "Cycle the City" guide (or print your own), with destinations and a route map for a half-day tour of downtown. Don’t miss the “optional loop” which will take you up City Creek Canyon past the Capitol. Your reward? Beautiful views of the mountains and downtown. Time it for sunset or sunrise for an even more dramatic and Instagram-worthy experience. The maintenance road through City Creek Canyon is closed to cars on odd-numbered calendar days, so if you’re looking for more, keep climbing, and the road continues for 5.8 miles. 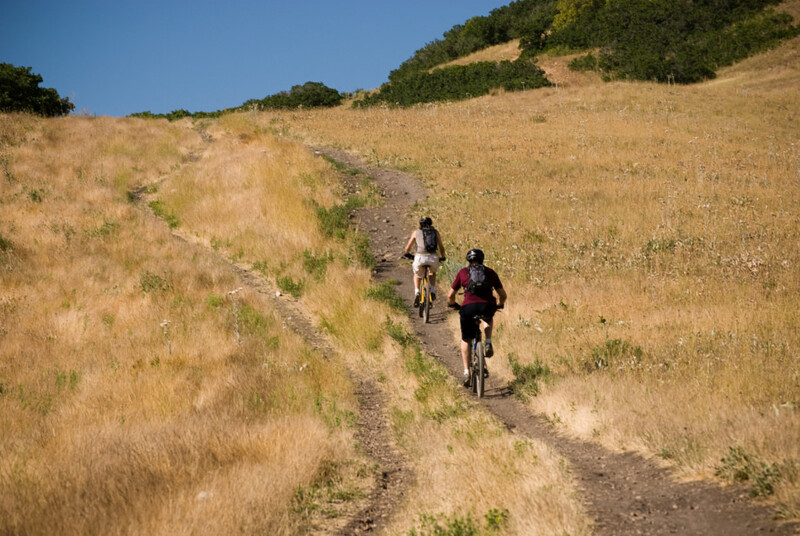 Mountain bikers will also enjoy the Bonneville Shoreline for miles of amazing views. Okay, everyone knows Boulder has outdoor cred, but the "People’s Republic" isn’t all spandex and shaved legs. Boulder’s compact downtown and B-Cycle bike share system make it easy to stitch together a low-key, pedal-powered summer day with friends. Let’s assume you and your crew are camped out at Basecamp Hotel, a hip–and actually affordable–new hotel in town. Right out your front door, at the corner of 21st and Arapahoe, you can jump on a B-Cycle. You’re within a few blocks of the Boulder Creek Path. If it’s a hot day, there’s no better way to cool down from your ride than a fun tube down Boulder Creek. 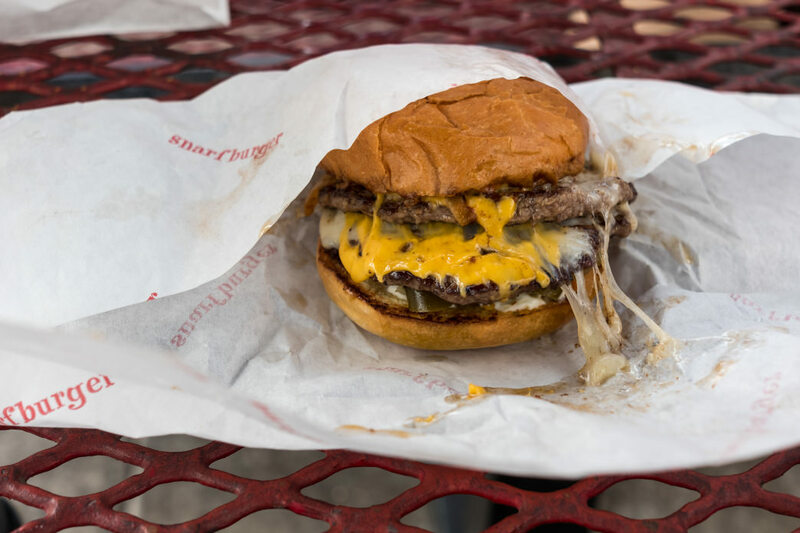 For lunch, head back toward the hotel to dock the bike and eat outside on the picnic tables outside Snarfburger. Order a double-bacon burger with fries and get one of their legendary frozen custards. Jump back on the bike after your burger and ride off the calories, this time heading west, where the Boulder Creek path ends and you can dock at Settler’s Park. From there you could even jump on the Red Rocks Trail for a hike. On the way back, stop in at West End Tavern and ask for a table on the rooftop terrace. End your adventurous day with a casual stroll back through the open-air shopping district–and perhaps a couple cocktails–on Pearl Street. If you’re in the big city and looking for a great way to see more than you would on foot, hop on a Citi Bike and explore Central Park. The city has been investing big-time in pedestrian and bike improvements, and like San Francisco, cycling the city streets is no longer reserved for hard-core bike messengers. 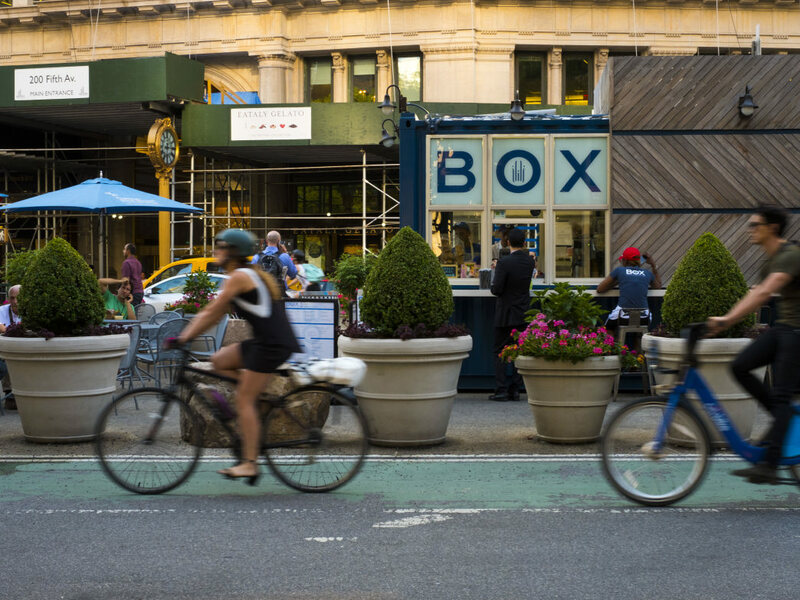 If you haven’t visited the Broadway corridor lately, you won’t even recognize it, and essentially every borough now has access to safe bike transportation. Despite a rocky start, the city’s bike share program, Citi Bike, has announced a plan to double the number of bikes from 6,000 to 12,000. 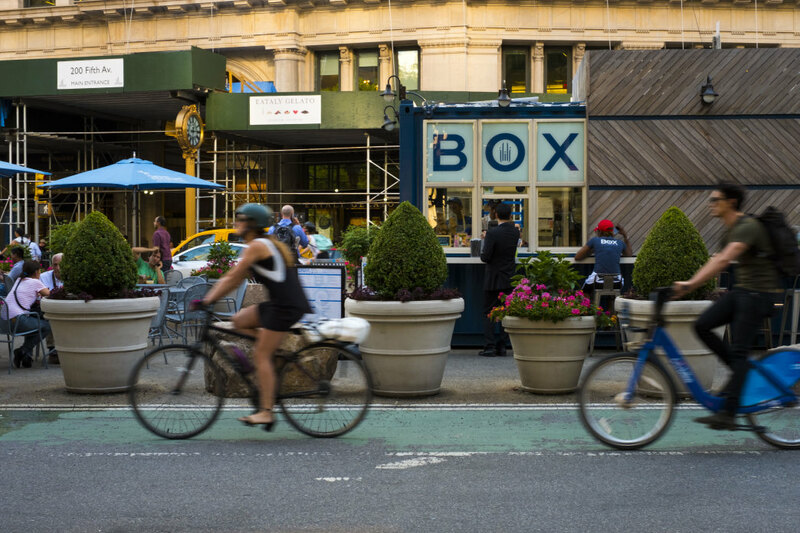 New stations are popping up all over the Upper East and Upper West, as well as Brooklyn neighborhoods from Boerum Hill to Park Slope and Red Hook. Spend a half day cycling through Central Park, where you can pick up a fresh-squeezed juice at one of the vendor trucks on the periphery of the park. You may want to rent a bike, as the Citi Bikes are designed for quick trips and get expensive after 30 minutes. Bikes are avaiable at Tavern on the Green and Merchants' Gate Plaza. 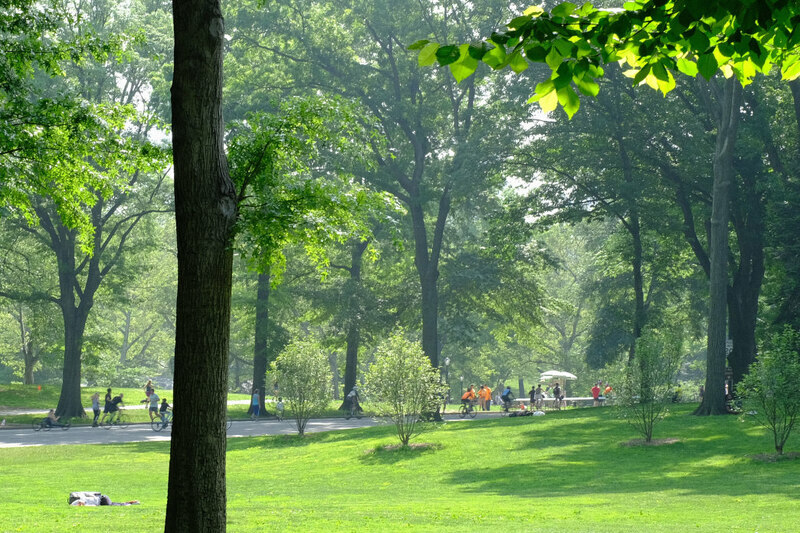 Central Park Conservancy's "Greensward Guides" can help orient you and show you where to go, or go to their website for the trail map. Once you’ve worked up an appetite, stop at another food truck for lunch. 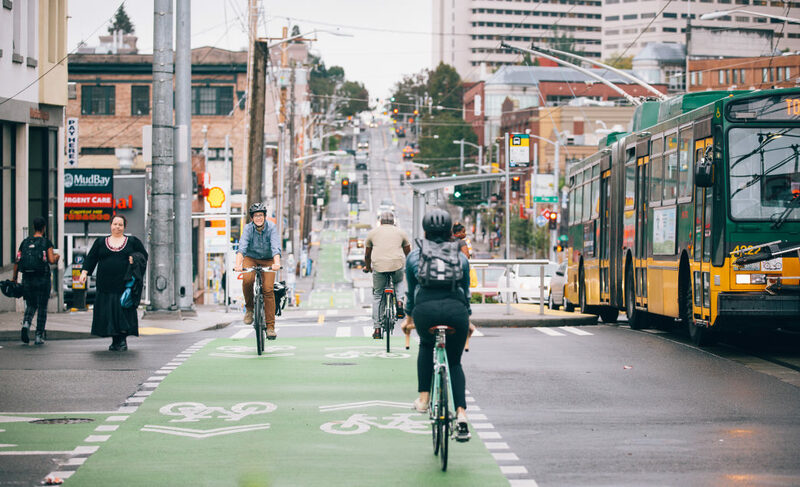 Clearly there are many more fantastic cities for cyclists than we have space to cover here: Minneapolis, Portland, Seattle, Madison, Tucson… and many more. Even Los Angeles, with its historical focus on the automobile, now has green lanes popping up all over downtown. With protected bike lanes going in across the country, there’s never been a better time to hop on two wheels and get some fresh air. Feel free to comment below with your favorite rides! What Type of Charlotte Runner Are You?